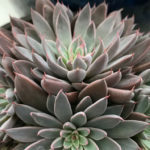 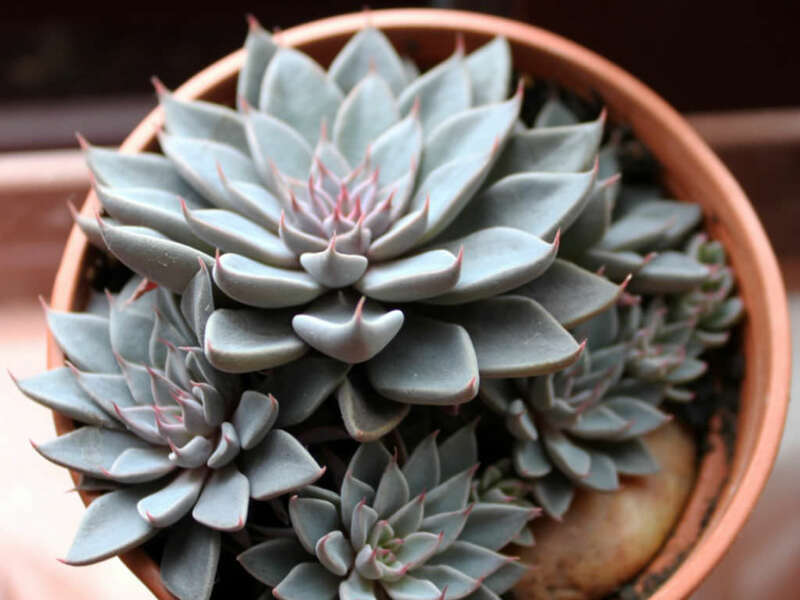 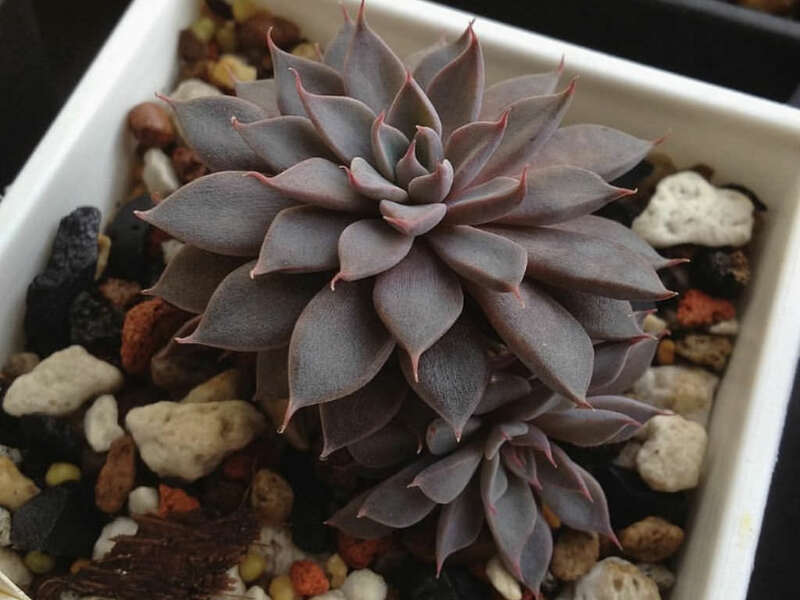 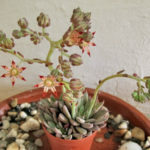 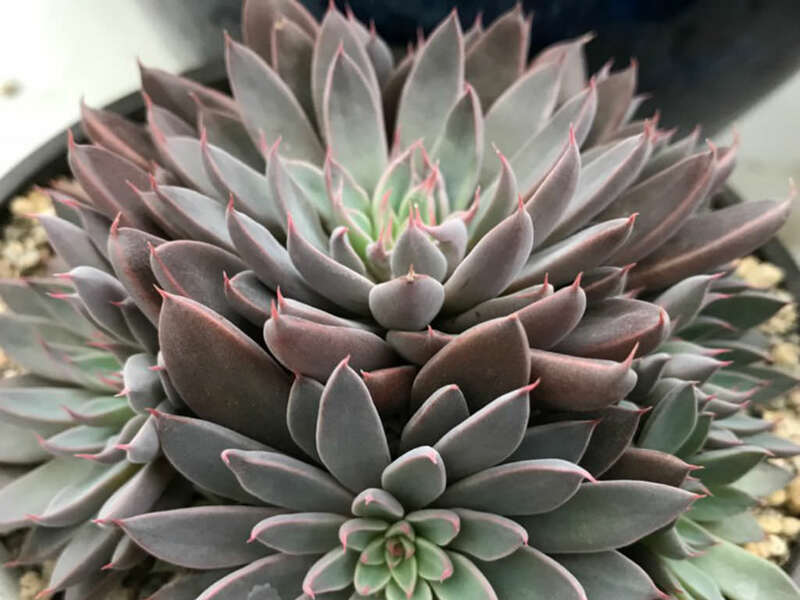 Graptopetalum rusbyi is a small, perennial succulent with several stemless or short-stemmed rosettes up to 4 inches (10 cm) in diameter. The leaves are pale green or reddish to violet, up to 2 inches (5 cm) long and wide. 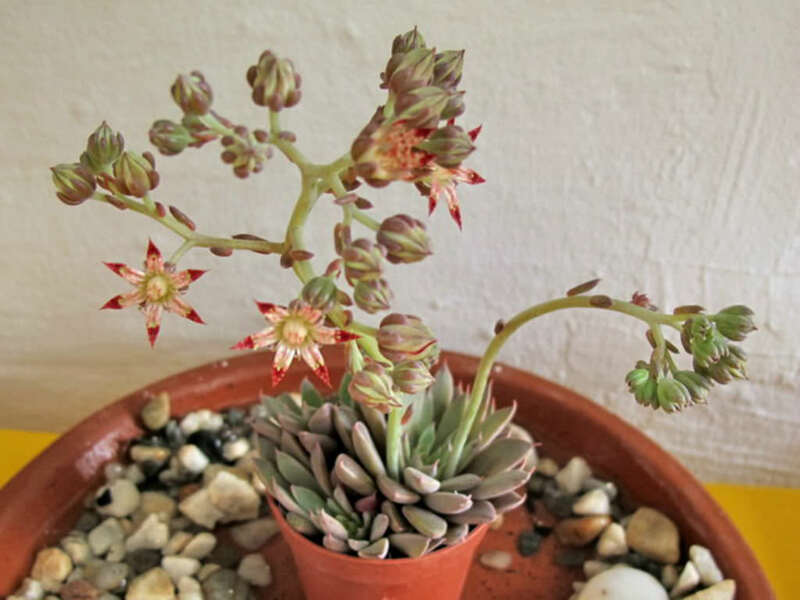 In the springtime, it develops flower spikes up to 6 inches (15 cm) tall, with clusters of yellowish-white flowers, cross-banded with dark red and yellow dots towards the center of the petals. 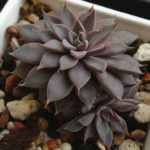 It is native to in Arizona and and south into northern Mexico.